The Seahawks’ attempts to fill in their depth with low-cost but hopefully high-yield acquisitions continued Thursday when the team signed two defensive ends — one a well-known name to Seahawks fans and the other a familiar face to aficionados of the HBO show “Hard Knocks”. And the Seahawks hope each — Cassius Marsh and Nate Orchard — can add some needed pass rush as well as special teams help. The Seahawks announced both signings Thursday afternoon. Orchard was a Browns second-round pick out of Utah in 2015 and has five sacks in 38 career games. Cleveland cut him before the 2018 season after he had a starring turn on “Hard Knocks”, then he spent time on both Bills and Chiefs rosters before Kansas City released him in November. Marsh, whose signing was first reported by ESPN’s Brady Henderson, was taken 108th overall by Seattle in the 2014 draft and played the 2014, 2015 and 2016 seasons with Seattle before being traded to New England shortly before the 2017 season for a fifth-round pick that the Seahawks ended up using to draft offensive tackle Jamarco Jones. Marsh played nine games with the Patriots in 2017 before being waived and claimed by the 49ers, with whom he then played in all 16 games last season. Marsh was released last month, becoming a free agent. Because he was released, he does not factor into the formula for determining compensatory picks in 2020 for free agents gained or lost. Orchard also does not count against the comp pick formula, meaning neither player puts Seattle at any risk of losing the four comp picks for 2020 it appears to have at the moment. Accruing as many comp picks as possible — four is the maximum — appears to be a goal of the Seahawks this offseason and one reason it has been more selective than ever in its signings. Seattle signed only two players so far who impact the formula — kicker Jason Myers and guard Mike Iupati — but are on track to get four comp picks due to losing players such as Earl Thomas and Justin Coleman. Marsh had three sacks and 41 tackles in his first stint with the Seahawks, playing 37 games (he played only five as a rookie in 2014 before suffering a broken foot in practice that ended his season). 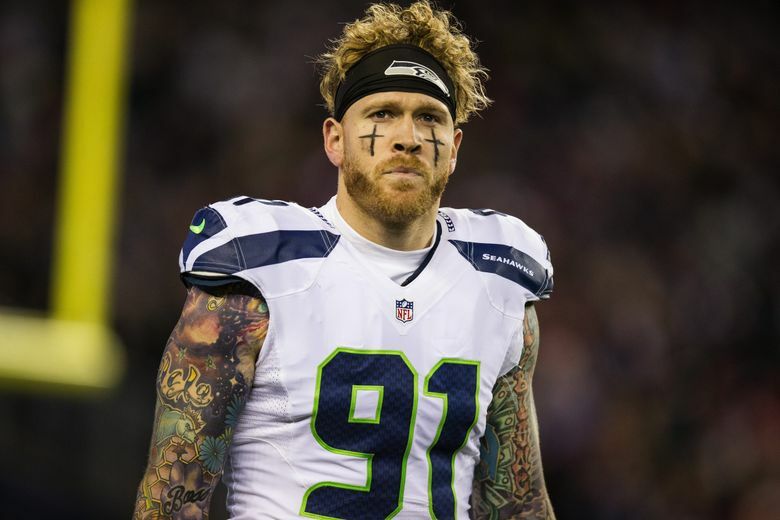 His contract details were not immediately available but it is likely a relatively low-risk deal for the Seahawks, allowing them to bring in a player familiar with their system who could add some situational pass rushing, an area where the team has been hoping to add depth. Marsh and Orchard could also each be viewed as replacements on the roster for Dion Jordan, who played in 12 games as an end for the Seahawks last season. Jordan is an unrestricted free agent yet to sign with any team and appears at this point possibly moving on. Marsh played a career-high 550 snaps for the 49ers last season and had a career-high 5½ sacks. But he was released in a cost-cutting move after the 49ers acquired Dee Ford — his $3.8 million base salary for the 2019 season was not guaranteed. Along with adding some pass rush and defensive end snaps, the Seahawks will also call on Marsh to help out on special teams. He played a team-high 347 special teams snaps in 2016 for the Seahawks, according to Pro Football Reference, and he played 221 for the 49ers last year, tied for fourth-most. Marsh, who turns 27 on July 7, played in college at UCLA. Orchard played at Utah and has 13 career NFL starts. Eleven starts came in his rookie season in 2015, when he also had a career-high three sacks. When HBO picked the Browns last summer as the featured team on “Hard Knocks” — the channel’s yearly documentary series on one NFL club’s training camp — Orchard became a featured personality, balancing football and a family that includes two daughters and a son. His wife, Maegan, got a moment in the spotlight with her cookie recipe. 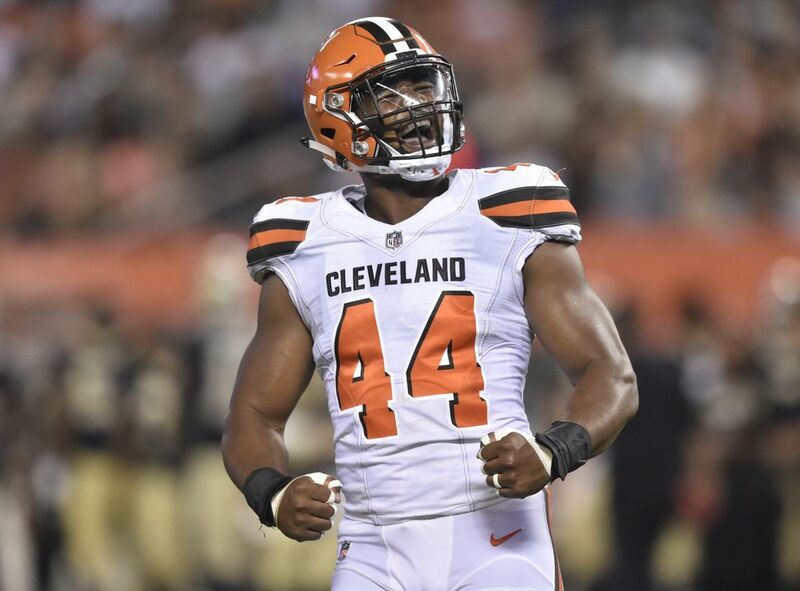 But the Browns released Orchard despite his 64-yard interception return for a touchdown in the final game of the preseason, and he later latched on for brief stints with the Bills and Chiefs.